Amid the uncertainty of Brexit and the slowing real estate sector here in Singapore, emerging markets like Vietnam are a promising investment destination for Singapore’s property investors. The country is also becoming more popular among Singaporeans. In June 2015, Singaporean visitors to Vietnam rose 43.6 percent year-on-year, according to Vietnam’s National Administration of Tourism. For frequent visitors to Vietnam, a property in Ho Chi Minh City (HCMC) could be their home away from home; investors should note the country’s growing potential. Vietnam’s GDP is growing fast: an expected 6.7 percent increase in 2016, following 6.7 percent in 2015 and 6 percent GDP growth in 2014 (World Bank). Together with a growing economy, Vietnam’s population is rising in affluence. A World Bank report shows that Vietnam’s super-rich – those with more than US$30 million worth of assets – increased by more than three times over the past decade to 2014. As Vietnamese wealth grows, so too their appetite for more luxurious homes, giving investors an opportunity to capitalise on property while prices are still on the rise. On top of Vietnam’s internal growth, foreign direct investment (FDI) into the country has been increasing. Singapore is the third largest foreign investor in Vietnam, with more than US$36 billion worth of investments. International Monetary Fund (IMF) statistics show FDI as a percentage of the country’s Gross Domestic Product (GDP) increasing, from 4.1 percent in 2013 to an estimated 5.6 percent in 2015. The IMF projects a 6.5 percent increase in 2016. As Vietnam’s economy develops and becomes the choice destination for foreign investors, Vietnam’s expat population will increase, bringing with it greater demand for residential property in city centres. In June 2015 foreign ownership laws were eased to allow foreigners with Vietnamese visas to own all types of residential property, including townhouses and villas. Previous laws restricted foreign buyers to purchasing condominiums. The change signals the government’s receptivity towards foreign investment, while providing foreigners with greater flexibility and choice for investing in the property market. Infrastructural developments in HCMC are also a contributing factor to the strong long-term potential in the city. Metro lines are under construction to improve connectivity in Hanoi and HCMC, linking the districts to the bustling city centre. The elevated section of HCMC’s Metro line is slated to be completed in 2017, and underground works are expected to be completed in 2019. HCMC property is already doing well – asking prices of high-end homes increased 8 percent year-on-year in Q1 2016, according to CBRE Vietnam Real Estate Q1 2016 Market Insights. CBRE says the first metro rail had a role to play in boosting sales of condominium units in District 2. Sales jumped from 329 units in 2012 to 3,710 units in 2014, the same year construction for the first metro line began. Vietnam’s population is not only getting wealthier, but more urbanised. Between 2010 and 2015, Vietnam’s urban population increased from approximately 30 percent to about 34 percent of the country’s population (World Bank). Vietnam’s rapidly urbanising population creates opportunities for property investors to capitalise on homes as housing demand in cities is boosted. In HCMC, the sale of high-end apartments in Q2 2016 contributed 44.4 percent to total sales twice that compared to 2015, according to Jones Lang LaSalle Vietnam Property Market 2Q 2016 Brief. Investments from foreign electronics companies such as Samsung and LG are encouraging the growth in the country’s electronics sector, creating jobs for locals. Between 2010 and 2014 Vietnam’s electronics sector expanded by more than 10 times (DBS), compared to Asia’s growth of 17 percent during the same time period. The increase in urban job opportunities will lead to an increased demand for a wide variety of housing, and contribute to a rise in property prices and rents. With a burgeoning economy bringing in expatriates and an increasingly urbanised population, demand for residential property in main cities will remain strong for the foreseeable future. Easing foreign ownership regulations means Vietnam’s developing property market will soon be on the radar of savvy investors. 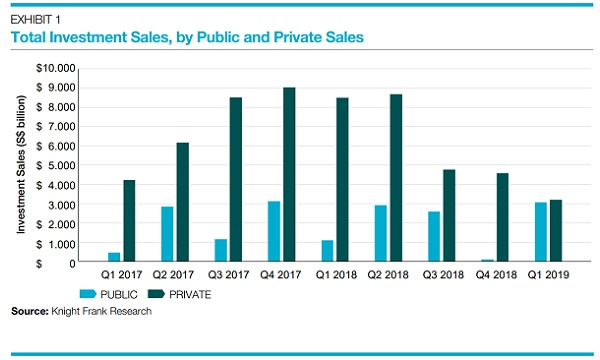 CBRE’s report shows that buy-to-let investors made up 28 percent of all buyers in Q1 2016, up from 19 percent the year before, while buy-to-gain investors made up 54 percent of all buyers in Q1 2016, up from 19 percent the previous year. Rental yield for prime property in the country is about five percent higher compared to Singapore (Vina Capital). With Vietnam’s property market primed for quick growth in the upcoming years, Singaporean property investors should consider entering the market now to enjoy higher yields while prices are still relatively low.